You’re invited to Dinner and a Movie! 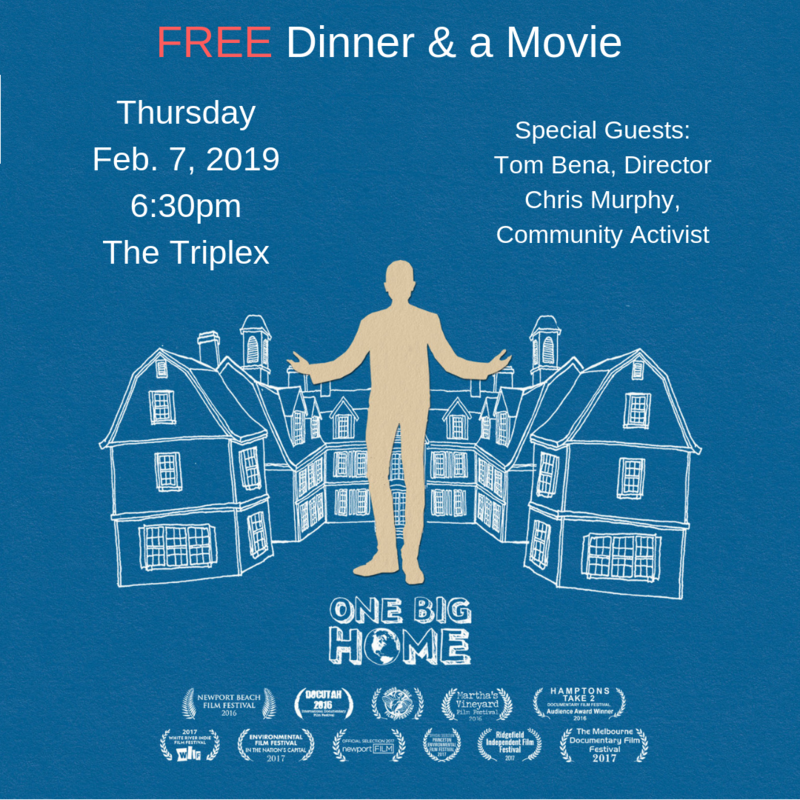 Please join us for our 3rd, free community Dinner and a Movie event featuring a screening of the documentary film, One Big Home. A discussion with the film’s director, Tom Bena, and documentary interviewee, Chris Murphy, will follow. Free pizza will be served and wine will be for sale. Set in Martha’s Vineyard, One Big Home chronicles carpenter-turned-filmmaker, Tom Bena’s journey to understand the island’s trend towards building giant houses. Bena’s film grapples with issues of housing affordability, preservation of open space, environmental responsibility, the effects of an increasing demand for second homes and, more generally, the importance of ordinary people playing an active role in determining the destiny of their communities. The film explores some of the most crucial issues currently impacting rural communities including the southern Berkshires. You can view the trailer for the film here. Reservations not required but are appreciated. Please call 413-527-7788 or email info@cdcsb.org to reserve.